Meetings are held 7 PM at Sandy Bottom Nature Park's Nature Center Building, in Hampton, VA. Visitor's are welcome to join us. The gate off Big Bethel road is left half open for members to enter through after dusk. The following board meetings are open to GMSVP club members only. Meetings will be held at 7 PM please see below for times and locations. Faceting Classes with Chuck Rogers- for additional information check out the Lapidary Skills Page. Chuck's contact information in listed on the Contacts page. Gem Tree Workshops with Gary Bergtholdt - for additional information check out the Lapidary Skills Page. Gary's contact information can be found on the Contacts page. 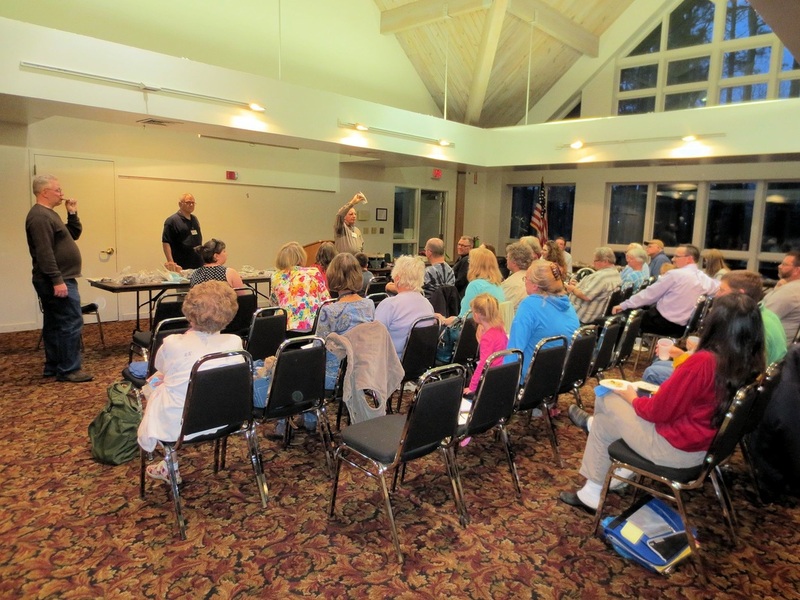 The GMSVP is a member of the Eastern Federation of Mineralogical & Lapidary Societies (EFMLS).The EFMLS holds two workshops at Wildacres each year, in the spring and the fall. Additional information can be found on the Easter Federation website at http://efmls-wildacres.org/. The William Holland School of Lapidary Arts offers classes from the third week in April and extends thirty weeks until the first week of November. Additional information can be found on the William Holland's webpage at http://www.lapidaryschool.org/. ​GMSVP participates in the following TOTE shows, demonstrating wire wrapping, cabochon cutting and selling & cutting geodes. Gem and Mineral Society. Mississippi Trade Mart on the State Fairgrounds, Jackson, Mississippi. 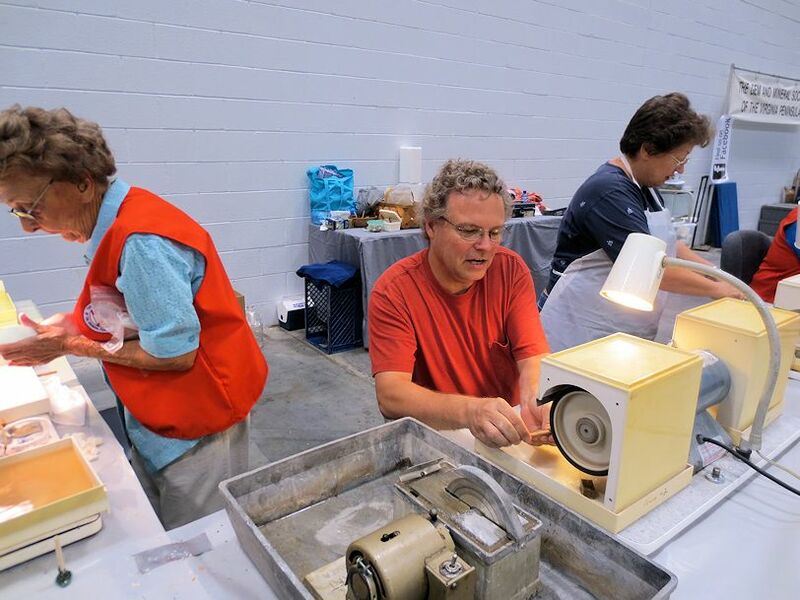 March 1-3: 49th Annual Gem, Jewelry & Mineral Show and Sale by the Suncoast Gem & Mineral Society. 8279, E-mail contact: SGAMSgemshow@gmail.com. Website: http://www.sgams.com/Shows/show.html"
March 2-3: 56th Annual Gem, Mineral & Fossil Show sponsored by the Delaware Mineralogical Society. 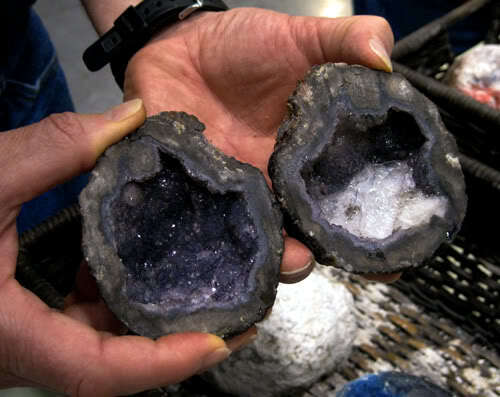 We sell Geodes at our Tote show.